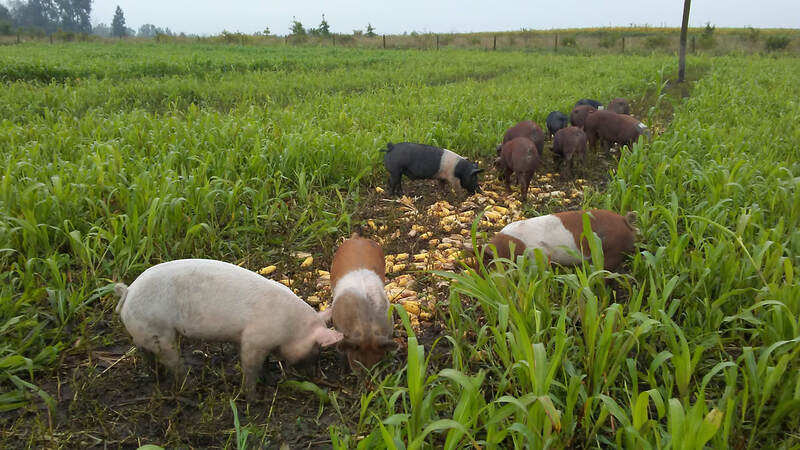 Our pork is pasture-raised and fed non-GMO corn and feed when necessary. You can regularly see them running the length of the field and rooting for turnips in the pasture. Enjoying the fresh air and great outdoors...as it should be. Throughout the year we take orders for whole or half hogs. These are sold by the pound (hanging weight) with a processing fee added on top of that. You decide what cuts you want. Message us to find out when our next hog will be processed. We also sell cuts of meat direct from the farm or at Fresh Food Hub in Auburn, IN. Our price list is below.